And in my opinion, that’s not just unhealthy – it’s ridiculous. 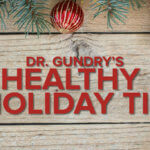 That’s why I challenge my patients to make the holiday season the “holiday slim-down season.” I suggest trying to lose 5 pounds during this time of year to balance out everyone else’s 5 pound gain. 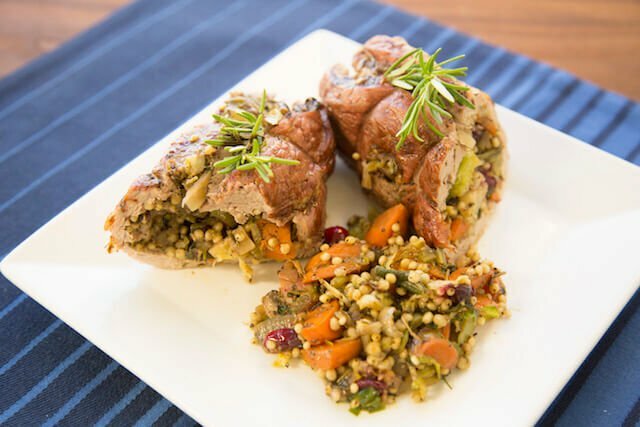 In fact, I just did an interview with K-ABC in Los Angeles where we talked about my go-to holiday recipes, like my signature Gluten-Free Millet Stuffing. 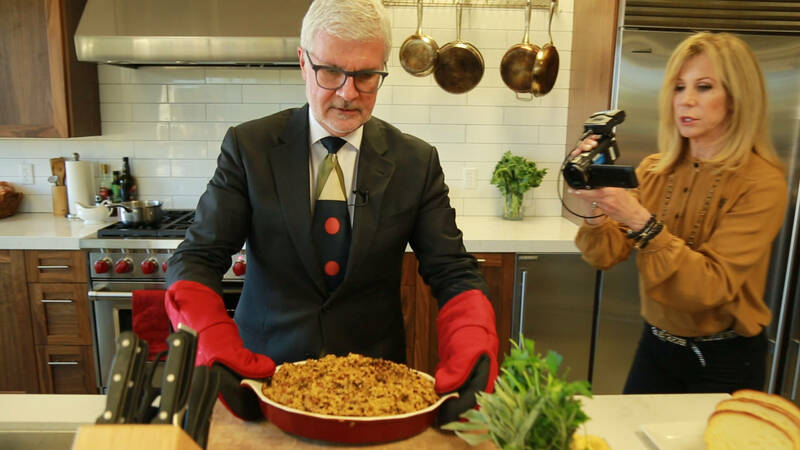 Dr. Gundry with K-ABC’s Lori Corbin talking turkey…literally. 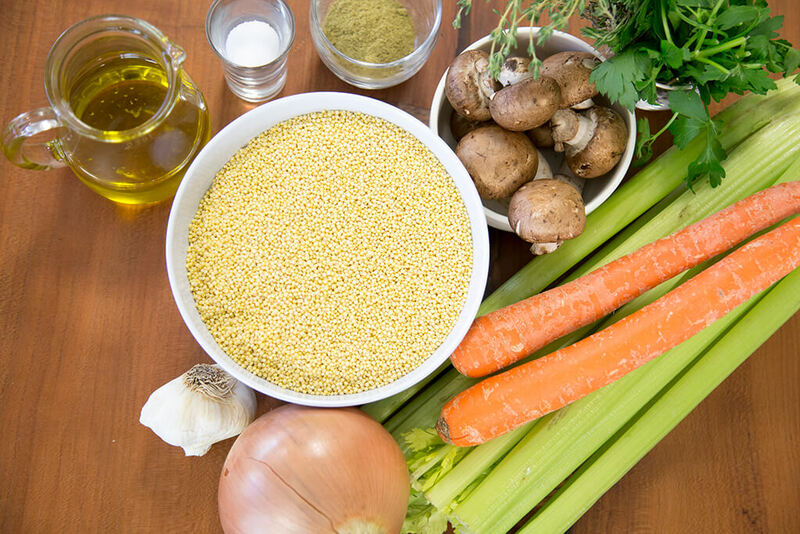 It’s just like a classic bread stuffing, but with one SIMPLE swap: ditch the unhealthy bread and use cooked millet in its place. When it comes to a holiday slim-down, that’s important… because lectins are directly linked to weight gain. Lectins are a highly toxic plant protein that actually stick to certain cells in your body, including your insulin receptors. And bread (whether it’s cornbread or wheat bread) is LOADED with dangerous lectins to spark your appetite. That’s why it’s so important to make this easy swap. 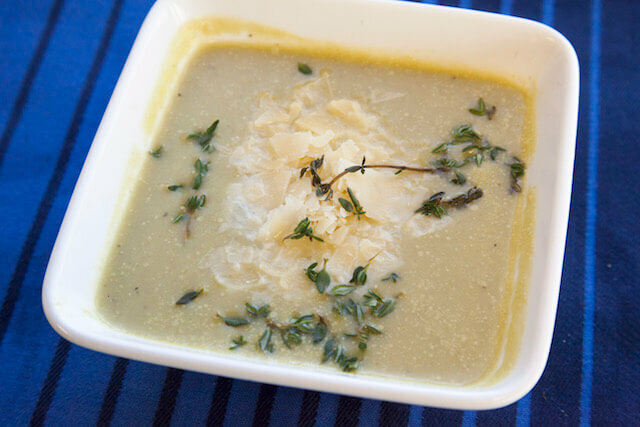 The best thing is, the finished dish gives you all the classic flavors of the season – onions, sage, garlic – but without the scary side effects. In fact, I think this recipe is even tastier than the original. The millet adds an addictive nuttiness you just don’t get from lectin–loaded bread. But what is millet, exactly? It cooks similarly to rice… and along with being lectin-free, it’s loaded in healthy prebiotic fiber, protein, and Omega-3 fatty acids. So how do you turn it into stuffing? Well, it’s actually pretty simple. Preheat oven to 350F (conveniently, the same temperature as my turkey!) Butter your favorite 9X13 casserole dish and set aside. Add the cooked millet to a large mixing bowl, and set aside. In a large skillet or wok, heat half the butter or oil over medium-high heat. Add the carrots, celery, and onions and cook until tender, stirring regularly. Add the garlic, sage, parsley and poultry seasoning and cook 2-3 minutes more, until mixture is very fragrant. Add to bowl with millet. Heat the rest of the oil or butter in the same skillet, and add the mushrooms and thyme. Cook until mushrooms are golden brown and tender, then add to the millet mixture. Stir stuffing mixture to combine and season with salt and pepper. Add mixture to the baking dish, and bake for 25-35 minutes, until stuffing is hot all the way through and the top is golden brown. You can even stuff it inside the turkey like regular stuffing. 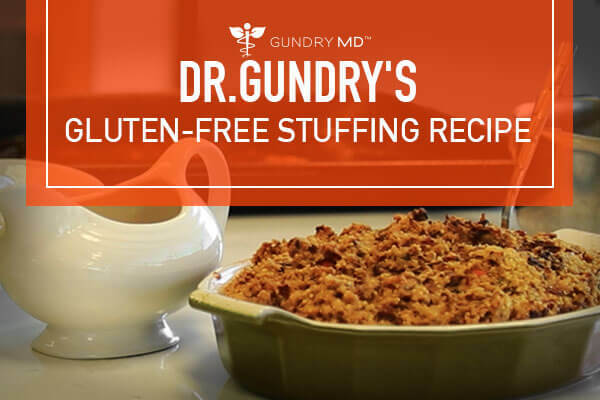 Just make sure the center of the stuffing reaches 160 degrees, for food safety reasons. That said, I prefer to bake it separately, in a casserole dish. I love it when the top gets golden brown and crisp. However you prefer to make your stuffing, please – give millet a place on your holiday table. I KNOW you’ll love it. And keep checking my blog for more of my favorite holiday recipes. 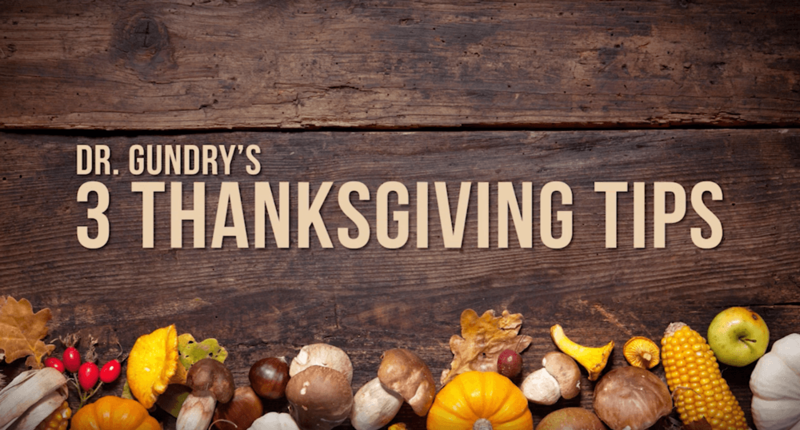 I’m talking classics like turkey, gravy, mashed potatoes, even cranberry sauce… all with a low-lectin Gundry twist! P.S. Make sure to share this tasty recipe with friends and family this holiday season! As always, I’d love to hear your feedback in the “Comments” section below. 1. Jönsson T, Olsson S, Ahrén B, Bøg-Hansen T, Dole A, Lindeberg S. Agrarian diet and diseases of affluence – Do evolutionary novel dietary lectins cause leptin resistance?. BMC Endocrine Disorders. 2005;5(1). doi:10.1186/1472-6823-5-10. 2. Hedo J, Harrison L, Roth J. Binding of insulin receptors to lectins: evidence for common carbohydrate determinants on several membrane receptors. Biochemistry. 1981;20(12):3385-3393. doi:10.1021/bi00515a013. 3. Veniant MLeBel C. Leptin: From Animals to Humans. CPD. 2003;9(10):811-818. doi:10.2174/1381612033455369. 4. Considine R, Sinha M, Heiman M et al. Serum Immunoreactive-Leptin Concentrations in Normal-Weight and Obese Humans. New England Journal of Medicine. 1996;334(5):292-295. doi:10.1056/nejm199602013340503. 5. Lu, Houyuan et al. “Culinary Archaeology: Millet Noodles In Late Neolithic China”. Nature 437.7061 (2005): 967-968. Web. I have suffered from gut issues for over 30 years. I have suffered through 3 hernia surgeries, bowel obstruction surgery twice, bowel resection surgery since 2002. I have been praying for a solution, asking all along, why is my gut continuing to be problematic? I am so hopeful this new information will help ! 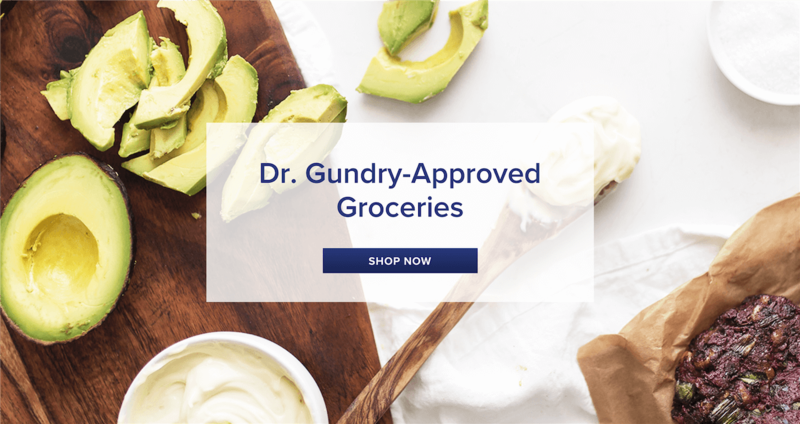 I am thrilled to see an actual list of foods both good and bad for my gut health! Wow! Complete excitement for this to help me feel better, do better, overall BE better! At 60, I need to get this gut deal figured out, Thank you, praying for positive results! I made this stuffing and it is delicious! I will never miss bread stuffing. Also made mushroom gravy to go with it, mmmmmm!